Home » Comparison » California King vs King – Which is Bigger & Better? Choosing a mattress that has all the qualities we need for good sleep is hard, and no doubt a tough decision; considering all the options, notably California Kings and King Mattresses which dominate the market. Thus raising an important debate among buyers, California Kings vs Kings, which to opt for? Deciding that you need a mattress is simple enough, but then comes all the specifications and types, which leaves you wondering, which mattress is the right size for you? You’re not alone with this question! To make things a tad easier, we’re here with all the information and comparison you need to make the right decision. 2 What is a King Bed? 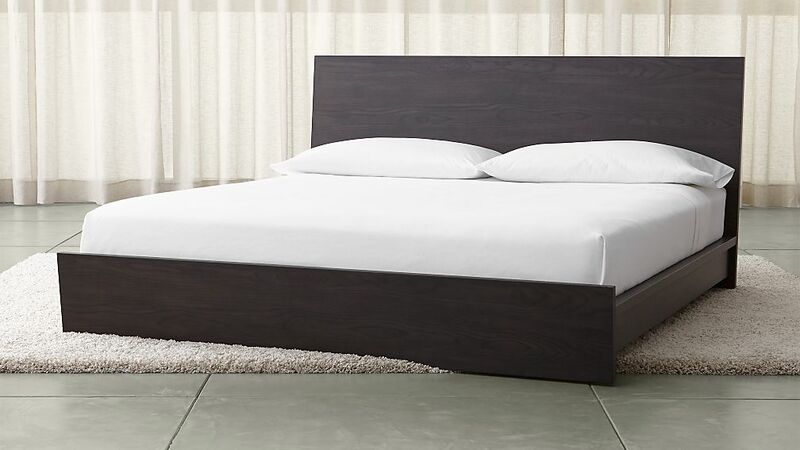 4 What is a California King Bed? 6 Which Bed is Bigger King or California King? 7 Does California King Sheets Fit King-sized Beds? 8 Which Bed is Better for you? 8.3 How Tall Are You? Dimensions This bed is 76 inches in width and 80 inches long. It is 4 inches shorter and 4 inches wider. This bed is 72 inches wide and 84 inches long. It is 4 inches longer and 4 inches slimmer. Space This bed is great for master bedrooms and guest rooms. Might not be good for narrow rooms. This bed is great for short and tall people both. You also have enough room to stretch. Number Of Sleeper It can accommodate a couple and more. It can easily accommodate a couple but not many people. Ability To Move Great for side sleepers and combinational sleepers. Ideal for couples with all kinds of sleeping positions. What is a King Bed? Before making any sort of decision, it’s a must that you acquire some knowledge about what you’re investing in. A king mattress has about the same length as a queen sized bed but has considerably more width. A King-sized bed is a popular choice among couples who look for a comfortable, enduring mattress. King size bed offers comfort to its users along with additional space; making it great for a family that has a single kid. It is a great choice in terms of décor as it does not look too inconspicuous. King size is customizable and if you do not get your desired ready make accessories; you can make your own. This bed size has multiple health benefits such as proper neck alignment and pressure point alleviation. Great for combine sleepers and sleeper who sleep on their side. Not a very ideal choice for tall people. The California King-sized mattress is the most demanded option for taller individuals and people who prefer raised pillows when they sleep. A California King-sized mattress by far is the longest option in the market, which is why it has its own niche and unique share in the market! Is a great choice for tall people and the extra height it has allows you to stretch easily. Cal King is great for a narrow and long room. If you are a combinational sleeper then this bed is great for you; you can stretch your legs, sleep on your back or your stomach easily. Has great edge support for sitting. Which Bed is Bigger King or California King? Accurately speaking, the King-sized bed is 76” wide and 80” long, and has a total surface area of 6,080 square inches. When it comes to dimensions of the California King bed, it is approximated that it is 72” wide and 84” long. According to the above-mentioned measurements, we can easily distinguish between the two. The California King is 4 inches slimmer than the King and 4 inches longer than it as well. But, the point that we have to highlight is that dimensions aren’t everything, there are a lot of other features that you need to look for because every size is meant for different people with various preferences. Does California King Sheets Fit King-sized Beds? Considering the mattress dimensions we’ve discussed above, a king-sized bed is 4 inches wider and shorter than the California king bed, from which we can easily deduce that California King Sheets can easily fit King-sized beds, but the opposite isn’t true. Which Bed is Better for you? To tackle this, we’ll compare both beds on the basis of different features and what to look for according to your preferences. While your own preferences are important, you should not ignore the dimensions of your room or wherever you plan on placing the mattress. If you get a bed that is too large for your room, it can take a toll on the aesthetics of your room and the furniture. According to most home designers and experts, a bed should have at least two feet of space on all three sides of the mattress to avoid over-crowding. Most people in popular reviews have stated that if you have a longer and narrower room, the California mattresses can provide you with the option of having your preferred configuration. Which is why, if you have a comparatively smaller room, the California King-sized bed is a better bet due to its lean outlook. But, if your room is spacious and has more width, the King-sized bed will be perfect for your room! Considering both sizes will fit your room like a dream, another essential aspect to consider is the cost, because everyone has a budget. It’s also good to know beforehand that King-sized mattresses are found easily in the market, and so are its accessories and replacements. Due to which, its cost is also considerably lower than the California option. California king beds are not as easily found in stores, and finding its replacements and accessories such as mattress protectors and frame sheets can be even more difficult and pricey. So, if you’re on a strict budget and want to avoid future hassles of finding bed accessories, the King-sized beds are your best bet! If you’re tall and you’ve got the wrong sized mattress, be prepared for troubled sleep and discomfort while your partner snuggles in their sheets. Doesn’t sound great, does it? If you’re over six feet tall, King-sized beds should not be your go-to option. California king mattresses offer you extra length so that you have enough space to sleep comfortably. It is also a good option for combination sleepers, who prefer stretching their legs when sleeping on their stomach or back. But, some people like having their feet dangling off their beds, so you do you! Hence, it is safe to say that King-sized beds are ideal for shorter people, but tall people can sleep on it if they have a habit of bending their knees when sleeping. But, as California beds offer enough length for short and tall people and stretching options, it wins this feature. Buying a mattress for you and only you is an easy gamble, but add your significant other to the equation and you have more variables to consider. Are they tall? Do they like extra space? In the end, though, it is all about what you both as a couple prefer and individual comfort. If you and your partner like sleeping closer or cuddling, the California King-sized bed will be a perfect option. Likewise, if you and your beau want space while you sleep, the king mattress will give you that extra width for added comfort. While California king mattresses are equally comfortable and exquisite for taller individuals, King-sized mattresses have their own plus points and its own market segment share. King-sized beds are a massively popular choice of people who want additional space and are often part of families with children. According to a recent survey, couples who had a toddler chose this mattress so that the entire family can choose to sleep on the same bed comfortably. People who are concerned about the overall look of their room are often very particular about what mattress they choose because the bed is usually the first thing people notice when they enter a new room. If you think on the same pattern, King-sized mattresses offer more options because as we mentioned earlier, you can find its accessories and replacements pretty easily so you can design your room and your bed according to what you want. You can even get the accessories custom made. Furthermore, King-sized beds are prominent and add value to your décor. California King-sized mattresses are a good option for people who prefer a minimalistic look of their room and décor and are a favorite choice for students and people who share a room. You can place your king bed in the middle and still have enough space for side shelves, wardrobes and even have some space left. If you invest in a California mattress, you need to have the longest room in your house, if you plan on also including shelves and another room décor. Dimensionally, a King-sized bed would be suitable for a room which is 12 by 12 feet, while California mattresses are ideal for rooms that are 13 by 12 feet. With the latter option, you will also have to design the other room requirements accordingly. Another important thing to consider while you argue on the California Kings vs Kings Choice is the design of your mattress. All-foam and hybrid designs are highly popular mattress designs these days and both mattresses that we are discussing today offer you these options. Individuals, who like feeling the spring mattress, should keep both King and California King Mattresses in their list. Both are made of coil systems with specific materials used such as latex and foam. King foam and California King Foam constructions are a preferable option for people who like sleeping on soft surfaces. Also, foam options are cheaper because Hybrids are made up of specific materials which are premium and thus expensive. Keeping the prices aside, you should seriously also consider the support and comfort which both beds offer. A king hybrid mattress provides more edge support which allows you to sit on the edge and not sink in; while an all-foam will probably not give you this edge and offer less support. When comparing it to the King option, the California mattresses are more extended and more compact, and both designs of foam and hybrid models will give you more edge support. Now, which mattress wins this category? If you don’t mind the pricing and want more leg space and stretching space, a Cal King will be a better option. Also known as Eastern king; the King mattresses offer various health benefits; they officially alleviate pressure points and help to aid you with appropriate neck alignment, and some people even state that its hybrid option helps them with their posture issues if they sleep accordingly. On the other hand, the California King Mattresses are comparatively more focused on helping taller people get more quality sleep and have an added feature of providing you with the option of using raised pillows when you sleep if that is what you prefer. By this, we mean that when you invest in any of these mattresses, you need to keep in mind that in the future, you may need to get some replacements done such as headboards, frame sheets, etc. You may also decide to move into another room or choose to add more room furniture. You should keep all these factors in mind because like any other thing, a quality mattress is also an investment for a reasonable period of time. If you’ve reached to our verdict, it means that you’ve read all the different aspects you need to take into consideration when discussing the California Kings vs Kings Issue. We have listed all the specifications you should consider when making this choice, these will help you if you’re ordering one online or can’t make up your mind when you’re put on the spot while buying it in the store. It is pretty evident that both; King and California King Size mattresses are quite similar with a few but stark differences such as the extra length and width and support that each offer individually. Everything aside though, it all boils down to your individual preference, what you consider will suit your room, budget, and your sleep patterns and comfort. In the end, you do you!